it is so nice that in Lehigh,we are not only provided a lot of project opportunities, but also a lot of researches in some professor’s lab. Usually this professors work with Phd students, but we, undergraduate, student also get opportunities to work on some researches that interests us. this summer, I was working in Professor Liu Yaling’s lab on developing a auto-filling system for his 3d printer, and after that project, i am given another research to work on. 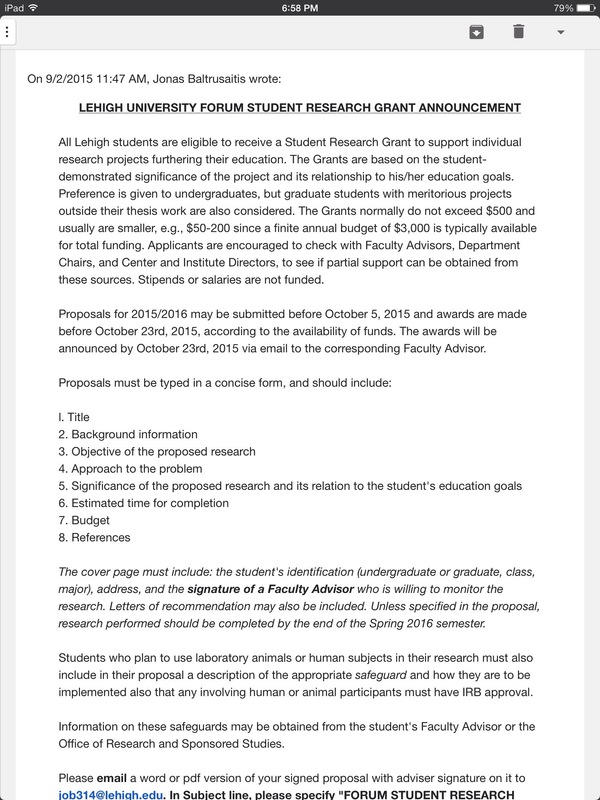 And Lehigh provides funding opportunity for this research if the proposal is approved.